Sebas Tian is the Real Deal! In this Overlord Season 2 Episode 6, Sebas Tian saved a girl despite knowing that it might affect their mission. Sebas Tian was made by the strongest warrior Touch Me one of the founder of Guild Ainz Ooal Gown, and leave him a strong impression "to help out who's in need" a great sense of justice. 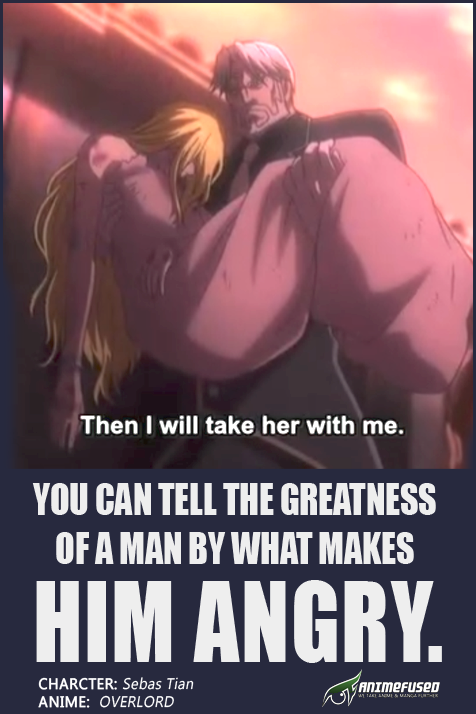 No wonder Sebas Tian didn't hesitate to help this girl.